It may be accurate to refer to patient elopement, in which a cognitively or mentally impaired patient leaves a caregiving facility unnoticed, as the healthcare industry’s deepest secret. Indeed, patient elopement and wandering have become such serious issues that the Centers for Medicare & Medicaid Services (CMS) have even begun monitoring certain facilities where large numbers of patients are known to “elope” on a regular basis. At one such facility—the Baylor University Medical Center in Dallas—a total of 31 untreated psychiatric patients who were admitted to the hospital’s emergency department eloped in a single day last September. According to hospital reports, at least some of those patients arrived at Baylor with suicidal or homicidal thoughts. This doesn’t need to happen. Every instance of patient elopement is, of course, a tragic situation. And not only for the patient and the facility in question, but for the family members of the patient as well, who are often ill-equipped to deal with such an unexpected crisis. Patient elopement can also be deadly, and incredibly expensive. 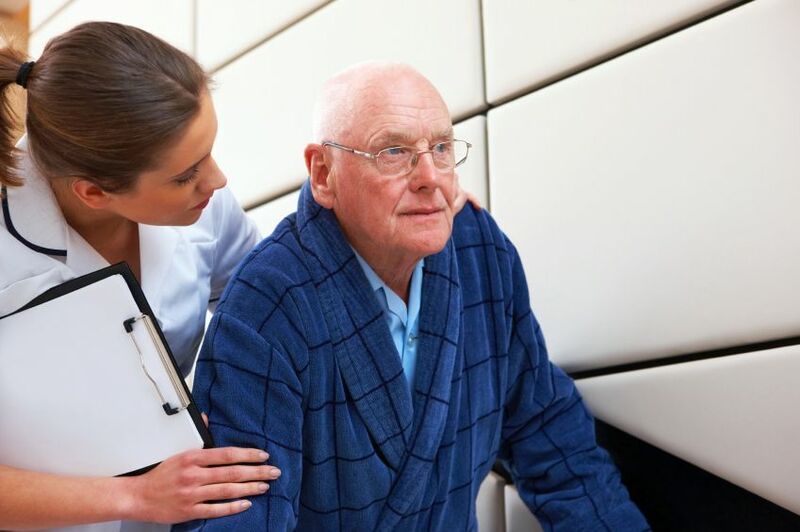 According to the National Council of Certified Dementia Practitioners (NCCDP), a Florida jury recently awarded $6 million in a lawsuit against a facility that was said to be aware of a resident’s habit of wandering, but did nothing to prevent it. A similar situation occurred in Louisiana, when a jury awarded $200,000 to a woman whose husband was hit and killed in traffic after he eloped from a facility. The brilliance of a real-time location system (RTLS) lays in both its intelligence and its sheer simplicity. The wandering patient prevention system allows for patient safety and security with the state-of-the-art technology of a single-use patient tag with clinical-grade locating. The location platform, which requires just one tag for patients and staff—and therefore just one system to maintain—is especially unique in its level of flexibility. It allows patients the freedom to interact with others, and it will always allow your facility the freedom to adjust rules and access at the individual patient level. Because the system is entirely programmable, it empowers patients with a healthy feeling of freedom while still ensuring their safety and security. The system, for example, allows patients to pass through certain access points, while other exits and other patients remain secured. The multi-mode technology used to operate the platform involves a unique combination of Wi-Fi location, Gen2IR, and low-frequency RF. This combination serves to protect your investment in the future; it also serves to maximize your ROI. Because the RTLS operates on an open platform, you’ll have seamless integration with over 100 clinical applications, including Nurse Call, fire systems, and high acuity systems. Due to the devices’ and tags’ pre-installed long-lasting batteries, and because the system will integrate with your existing Wi-Fi network, you’ll find installation surprisingly simple. Learn more about the first and only single-use patient tag with clinical-grade locating. CenTrak’s unique disposable active-RFID (RTLS) patient tags support the Center for Disease Control’s (CDC) infection prevention and control recommendations. Download the product sheet here or contact us today for further information.